Joshua Tree National Park is still open to the public despite the government shutdown. 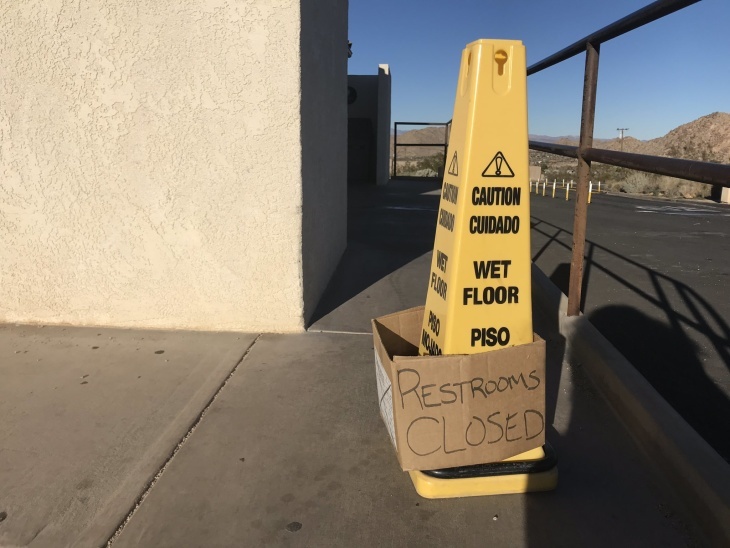 But there's almost no staff there to do basic — but very, very necessary — tasks like clean the bathrooms and take out the trash. Enter a small, determined group of volunteers bundled against the wind in the dirt parking lot of Cliffhangers Guides, a local climbing guide company. A mix of locals and a few concerned tourists, they're about to spend the day bagging trash and cleaning toilets. Similar groups have done the same nearly every day since the government shutdown began on Dec. 22. 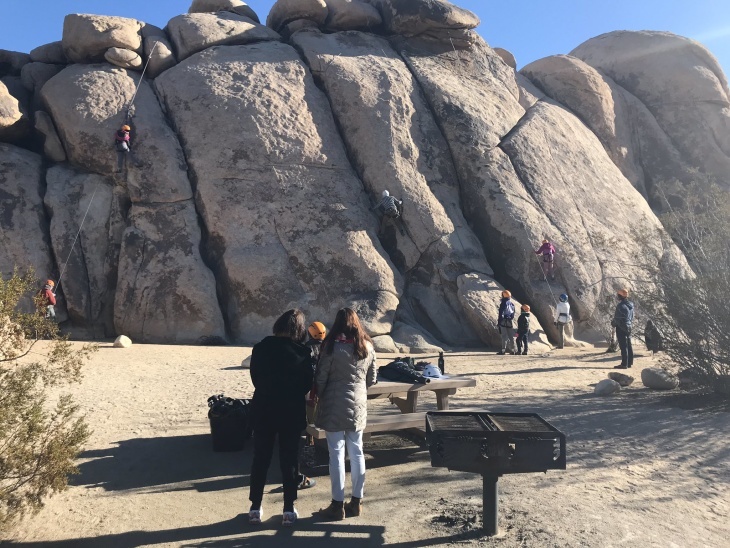 John Lauretig, a lead volunteer and executive director of nonprofit advocacy group Friends of Joshua Tree National Park, said their beloved park has suffered without the usual staff. Trash bins were overflowing. Bathrooms were gross and virtually unusable. So he and other volunteers drive into the park every day, fill their own cars with trash, and clean until they run out of supplies. On Tuesday morning, Lauretig was busy handing out donated cleaning supplies and packets of toilet paper out of the back of his white pickup truck. One volunteer took a look at the name-brand toilet paper and joked that visitors at the park have better paper under the shutdown than before. "They're going to get spoiled!" Lauretig said, jokingly. The mission of the group is simple: spread out along the winding park road, pick up and pack out trash, and clean bathrooms. The volunteers divided into groups, and headed out - Lauretig took the main road into Joshua Tree, along with volunteer Shawn Snyder. Snyder, a local climber, said the response to their efforts has been positive. "We were really overwhelmed by locals but also people here visiting coming up and asking us what we were doing, but once we explained to them, you'd see them walk to their cars and come back and start sliding donations into our pocket," he said. Scrubbing and restocking all the toilets in the park is no small feat. "There's I think over 150 pit toilets in the park, so, uh, there's a lot of poop," Lauretig said. The volunteers cleaned out dumpsters and slung black trash bags into the backs of trucks. They swept rocks off of the pit toilet floor, replaced trash liners, and wiped down toilets with bleach wipes. But on Tuesday, the bathrooms were looking a lot better than a few days ago. At the Hidden Valley Picnic area, Lauretig ran into another group of volunteers who said said they hadn't done much besides restock toilet paper in the bathrooms there. "Our continued efforts are making this less work all the time," Lauretig said. Lauretig said more than 200 volunteers have participated, and they've placed about 5,000 rolls of toilet paper. As the volunteers work, park visitors came and thanked them. One family slipped them a handful of chocolates.